NOTE: This information is provided as general advice only. Always check your local laws for the legal use of expandable batons and other similar self defense equipment. Expandable batons have been used by law enforcement for many years without grabbing much attention. In 1994 these steel batons became better known after the Nancy Kerrigan attack. 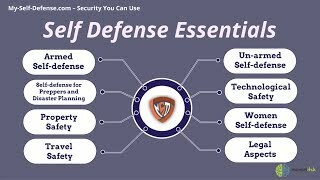 Although these self defense devices have been used by criminals, they serve an important purpose in today’s self defense world. Before purchasing a baton, be sure to review expandable baton laws. Some states do not allow these batons to be used as self defense devices and they are only to be used by law enforcement. Batons come in many forms including the standard telescopic steel baton and expandable stun batons. The function of these two devices are very different, but the desired end result would be the same – to keep you safe. The expandable steel baton consist of several thick metal cylinders that fit inside each other. Each Cylinder is smaller than the previous and they can compact to a fraction of the expanded size. At the end of the baton there is usually a ball of metal to increase the weight at the end. This device is generally swung at an attacker to cause intense pain similar to being hit with a small metal bat. Common lengths of telescopic steel batons range from 16 to 26 inches. The top of the line expandable steel batons are made by ASP. ASP Batons are high quality and made to last. Steel batons are one self defense device that can cause some serious damage and should only be used with the utmost discipline. Excessive use even for self defense purposes can lead to assault charges or even a murder charge if the attacker ends up dead. For this reason these devices should only be a last resort, used for emergencies only. Batons are illegal to own or use in California and there are many other laws restricting their use throughout the United States. The expandable stun baton is similar in some ways, but much differnt in others. This unit has the same design as the steel baton, but expands and electricity is pushed through the expanded part of the metal. This baton has a distinct advantage over a stun gun. A stun gun has very little reach and you must be very close to use it. The stun baton usually has a reach of at least 1 foot and will give you and extended electified reach. The Telescopic stun baton has been known to include an alarm and even a high power flashlight. These units are non-lethal and will only temporarily disable an attacker giving you enough time to get away. This device is a great alternative to the steel expandable baton.